The Panorama Dermatology Clinic offers specialist medical, surgical & cosmetic dermatology. The clinic is located in the suburb of Panorama in Cape Town, close to the Panorama MediClinic. Dr. Jean Louw, a dermatologist, manages the clinic. 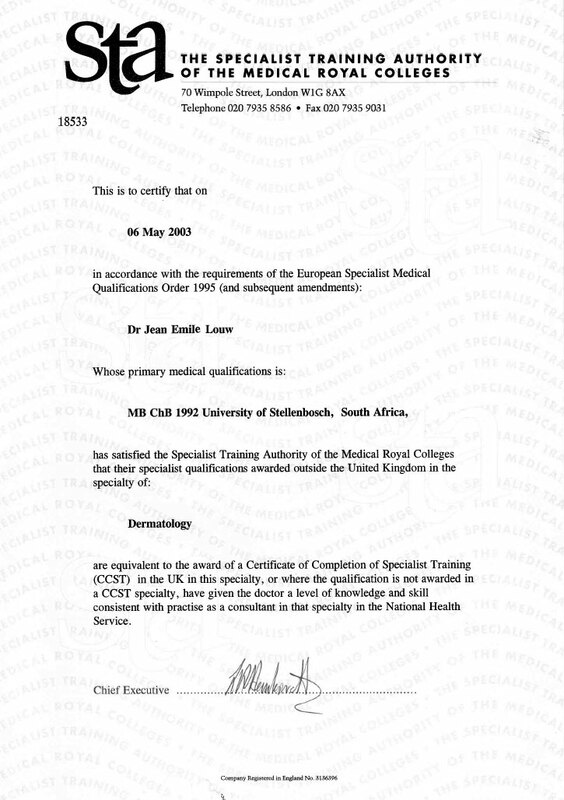 Dr. Louw obtained his medical degree in 1991 and specialist dermatologist degree in 2001. 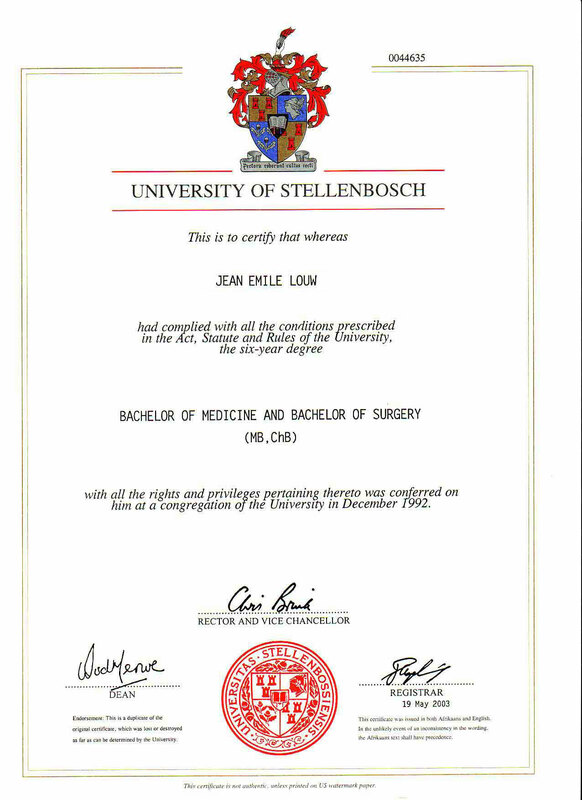 Both degrees were obtained from the University of Stellenbosch. 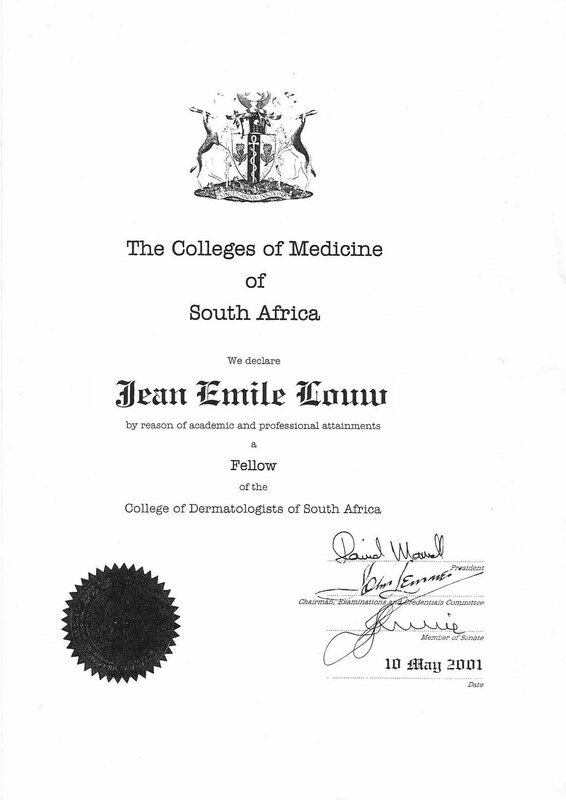 He became a fellow of the College of Dermatologists of South Africa in 2002 and obtained specialist certification as a dermatologist in the United Kingdom. A dermatologist is a specialist skin doctor that treat skin rashes and diseases, hair loss and nail conditions using both medical and surgical interventions. The average training period for a skin specialist doctor is 11-12 years. This includes 7 years to qualify as a medical doctor, 4 years to specialize in dermatology and time spent studying other aspects of dermatology, like laser therapy and cosmetic dermatology. The dermatology clinic offers a range of services available in medical, surgical and cosmetic dermatology. Medical dermatology involves the diagnosis and treatment of skin conditions with topical, physical (like ultraviolet B) or oral medications. Surgical dermatology is about procedures for the treatment of skin diseases. These procedures include liquid nitrogen therapy, skin excisions, curettage & cautery of skin lesions, injections of various types, photodynamic therapy, treatments for acne scarring and various laser therapies. Cosmetic dermatology includes injections for wrinkles, skin needling for skin texture improvement, sclerotherapy for leg veins, laser therapies for skin rejuvenatation, laser therapies for pigmentation and laser therapies for blood vessel removal and hair removal. 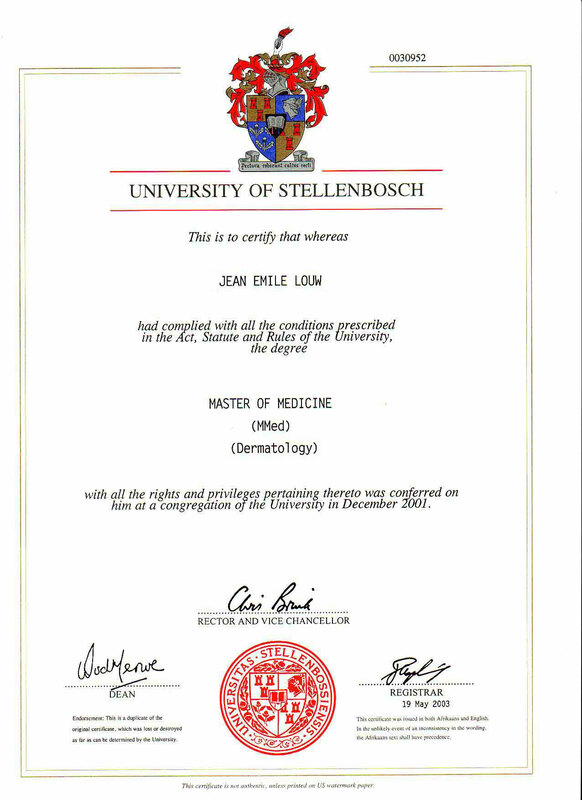 Dr. Louw has a dermatology clinic in Vredendal every six weeks.